If you are an enrolled member of the Yakama Tribe, or other Federally recognized tribe, you may get a permit from the United States Fish and Wildlife Service to obtain or transport an eagle or eagle parts for religious purposes. You must show a certification of your enrollment in a federally recognized indian tribe, and send in an application. For a good starting point, click here. Permits can be obtained for hunting in restricted areas, and for wild horse chasing, from our program. These permits are for enrolled tribal members only. Call Sandra at (509) 865-5121, x6307, for more information. Our program is currently monitoring for CWD, a brain disease in deer and elk. For more information on CWD, click here. Hair loss syndrome is a serious and fatal disease in Columbia black-tailed deer. Although it has not yet been reported east of the Cascades, it has the potential of being spread to Mule deer, and will likely occur here soon. Please report any sightings of this disease to our office, or bring in suspect specimens. For a printable brochure on HLS, click here . To find out about scholarships and other education opportunities for Native Americans, click here. 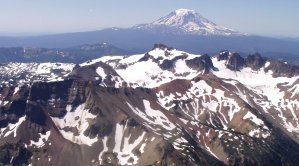 For information on jobs available in the Yakama Nation Wildlife, Range, & Vegetation Resources Management Program, contact the Yakama Nation Personnel Program at (509) 865-5121, x4388. 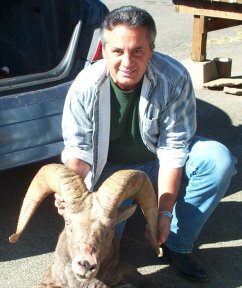 A drawing took place in 2013 for additional permits issued to Yakama Nation tribal members to hunt Bighorn Sheep rams in the Ceded Area. Another drawing will take place in July 30, 2014, check later for further details.